Anytime Bail Bonding, Inc., located at 771 Buford Drive, Lawrenceville, Georgia, 30043, is available whenever you need Barrow County bail bonds. No one wants to spend time behind bars. We provide fast and affordable bail bonds in Barrow County GA 24-hours per day, 7-days per week. This minimizes the time you’re in jail. We make the bail bonds process in Barrow County simple. Professional service from friendly bonding experts is our promise to you. Call us at (770) 339-9000 after an arrest. Day and night, we pick up the phone! Our Barrow County bail bondsman will get you out of the big house fast! Our Barrow County bail bonds service provides a fast solution to get out of jail. Simply call or stop by the office to speak to a bondsman and begin the process. You’ll need a copy of your driver’s license or ID to post a bond. The bond fee is also payable at this time. 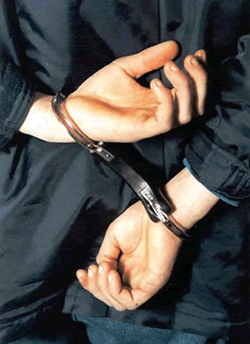 We require only 10% of the original court-ordered bond amount to bail you out of jail. A small bondsman fee is also added to this amount. Once the paperwork is completed and the bond fee paid, the release request is made at the jail. Shortly thereafter, the release is granted. Why Choose Our Barrow County Bail Bondsmen? Our bondsmen are some of the best in Barrow County. They understand that it is stressful to be in jail. They work to get you out quickly so you can get back to your life. We’re available when you need us, including nights, weekends, and holidays. And, we bond yu out no matter what type of criminal charge you face. We understand that bad things sometimes happen to good people. Our Barrow County bail bonds company never judges you, but instead works to get you free. People around town know our name and oftentimes recommend us to their friends who’ve been arrested. Find out firsthand why so many people in the area trust us to serve their bail bond needs. Many people use Barrow county bail bonds after an arrest. Most people don’t have the thousands of dollars to pay that the court orders for a bond. As result, there are many companies in the area who offer bail bonds. Anytime Bail Bonding, Inc. is one of those choices. We are one of the best Barrow County bail bondsmen around! We bring experience and expertise to the bonding process. In turn, you get out of jail faster, with someone there to explain the bond process, court processes, etc. when you are free. Enjoy less stress after this stressful experience when Anytime Bail Bonding, Inc. is on your side! Anytime Bail Bonding, Inc. is a name the locals’ trust. Although we hope you’re never arrested, rest assured our bonding agents are there if you are. Find out firsthand why Anytime Bail Bonding Inc. is a name that so many people know and turn to during this difficult time. So don’t hesitate! Contact our Barrow County bail bonds professionals today!